Fernandez (Kapa’a, 2015, etc.) 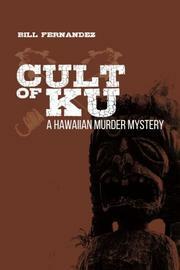 incorporates Hawaiian history, folklore, and labor struggles into a 1920-set mystery packed with violence and murder. Grant Kingsley returns to his home in Honolulu, after completing military service and law school, only to find that his status in his wealthy family of financiers and sugar plantation owners is in question. A deathbed confession by his mother indicated that his biological father may not have been scion James Kingsley but a native Hawaiian man with whom she had a brief affair. Grant’s racist stepgrandmother is furious about the scandal; she wants to disinherit him and drive him away from his beloved father. Shortly after having an acrimonious meeting with her, Grant learns that she’s been found dead, the victim of some type of ritualistic torture. The zealous local police chief, knowing of the bad blood between the relatives, briefly charges Grant with the murder and incarcerates him. Four more horrendous killings follow, all with elusive earmarks of indigenous cultural rites but with no clear motives or connections among the victims. Meanwhile, Grant is repeatedly attacked and assaulted by unknown assailants as he attempts to solve the crimes. Along with his new girlfriend, Serena, he seeks to decode their ritualistic aspects. Meanwhile, he becomes a law partner in a local firm and gets recruited as a spy to collect intelligence about Japan’s plans to fortify battleships in the Pacific. The depth of the author’s historical knowledge is evident throughout this novel, and he offers many fascinating insights into the era. In the author’s attempt to provide exposition, however, he sacrifices believable situations and realistic dialogue. As a result, the plot becomes too overcrowded with characters and shards of cultural information, making it lack coherence. It’s also marred by repeated jump-cuts from chapter to chapter, and the attacks and murders occur with such frequency that they eventually lose impact. An edifying novel that explores cultural conflicts in Hawaii between the world wars that is hampered by an overly ambitious, frequently turbid plot.